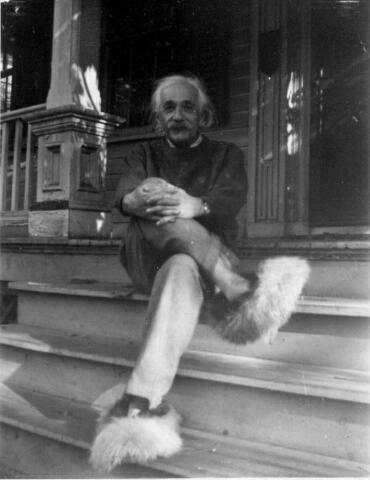 Photo: Einstein sitting on the front steps of his home in Princeton, wearing his fuzzy slippers. Copyright © Robert Lacy Designs. Powered by Blogger.